The undulating landscape created by the water courses of the ridge that connects Cape Leeuwin in the south and Cape Naturaliste in the north, with the well drained ironstone gravel soils and healthy stands of Marri and Jarrah trees, were indications of ideal vineyard growing sites identified by Dr John Gladstone in 1965. Gladstone recognised the region possessed a similar climate to Bordeaux, a moderate maritime climate with low frost risk and plenty of sunshine to encourage even ripening- all the elements for growing pristine fruit. And so began the advancement of the Margaret River Wine Region……..and some 45+ years since the first vines were planted, the region is recognised as one of the world’s finest. The original plantings were in the Wilyabrup sub region with Vasse Felix and Cullen Wines being the original Pioneers. Cape Grace Wines is fortunate to be established on a pioneering site (were Vasse Felix wanted to plant their vines) and in 1996, Cape Grace was the 27th winery in the Wilyabrup Sub Region. In 2015 there are over, 150 wine producers and grape growers in the Margaret River Appellation. Today the Margaret River Wine Region commands over 20% of the premium wine market in Australia, whilst only producing 3% of Australia’s total wine production. The region has a reputation for producing wines with delightful individual fruit character that bring forth the sense of place for one of the most enchanting environments on earth and is filled with an amazing diversity of attractions and activities. A natural beauty, the region is a treasure trove of native fauna including kangaroos, possums and bird life residing in the towering karri forests, magnificent caves, coastal heaths and carpets of seasonal wildflowers. Hugged by the ocean on three sides, the region offers stunning white sandy beaches, numerous reefs and tranquil bays, dramatic cliffs and rivers, ideal for a diverse range of water activities including swimming, snorkelling, paddle boarding and canoeing. 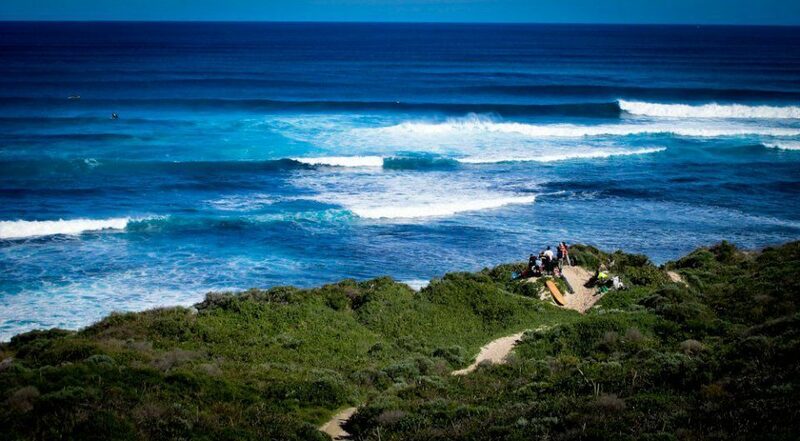 The surfing is world class with The Margaret River Drug Aware Pro being part of the international circuit. The visual splendour of our region is a sight to behold and a bird’s eye view of these jewels can be gained on the numerous walk trials including the Cape to Cape Track “Australia’s Ultimate Multi-Day Coastal Walk Track” which stretches from Cape Naturalist in the north to Cape Leeuwin in the south and has many sections that can be walked and explored as pleasant strolls. We hope that you enjoy your visit to our region as much as we enjoy living here! For further information on our beautiful region please visit the Margaret River Busselton Tourism Association website.